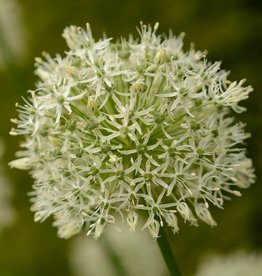 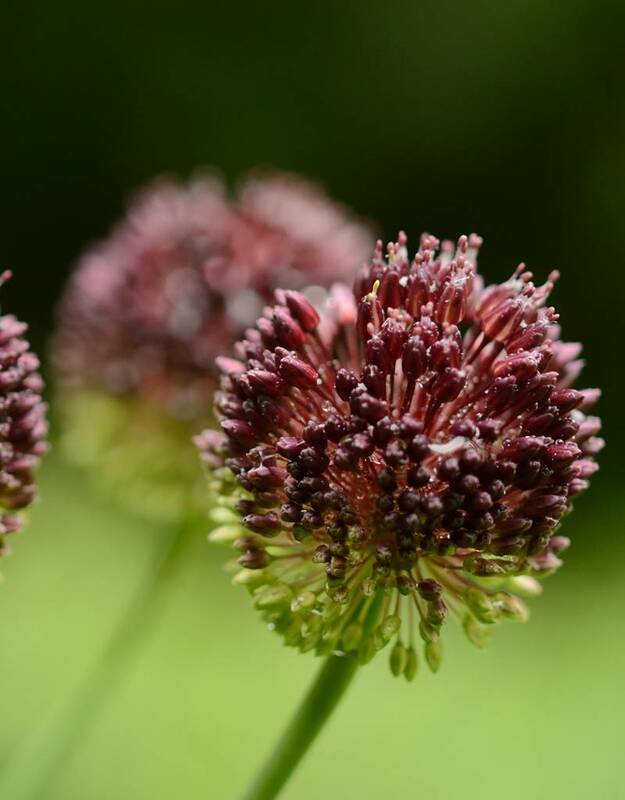 The oval flowerheads of Allium sphaerocephalon, commonly known as Round-headed leek, measuring up to 5cm across, appear year after year in our sunny perennial border. 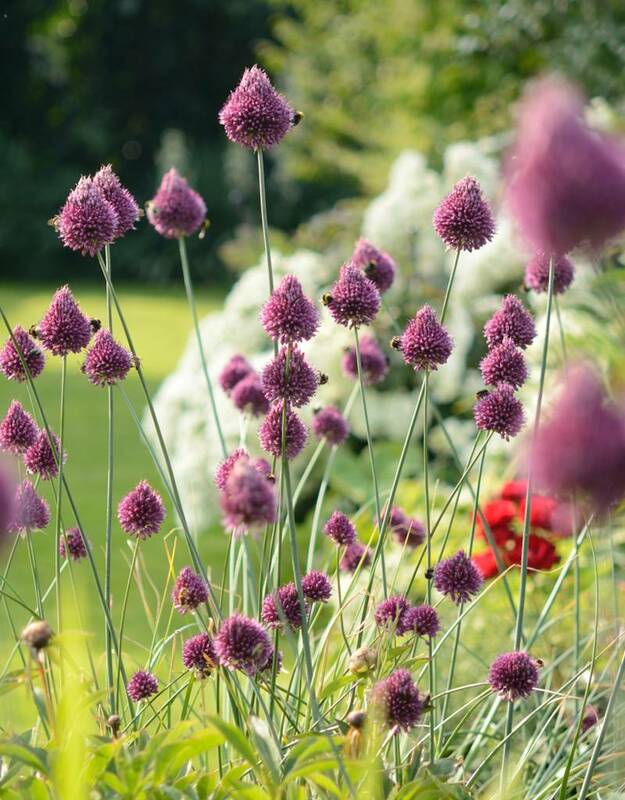 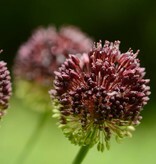 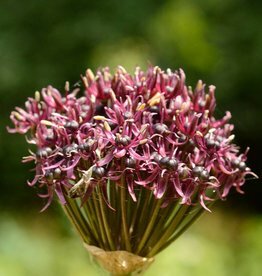 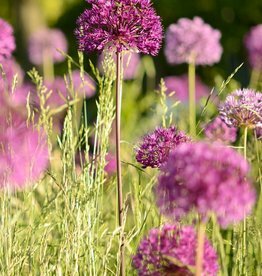 The buds of this Allium are green, but once the individual flowers begin to open, from top to bottom, the flowerhead transforms to purple. 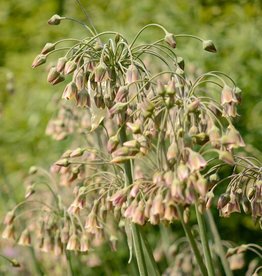 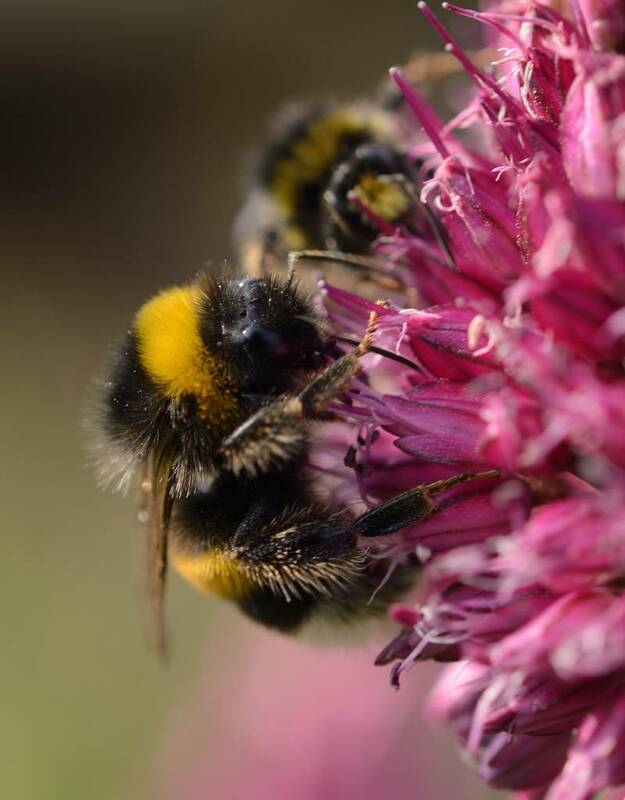 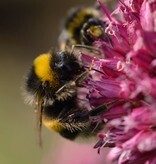 Round-headed leek spreads gradually: this species self seeds and is at its best when planted en masse in a border or meadow. 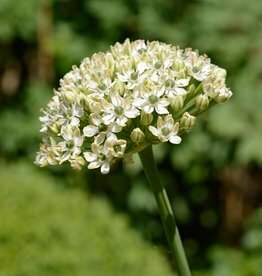 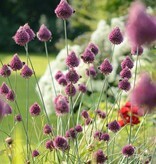 In the Battery Park in New York (arden designer Jacqueline van der Kloet), Allium sphaerocephalon can be seen combined with Teucrium hircanicum.